Either I have a really fast metabolism or I'm just a greedy mare, but I'm ALWAYS hungry. Some days it really gets me down. I'll have huge meals in the hope that I won't feel hungry for hours afterwards, then an hour later I'll be scouring the fridge and cupboards "there MUST be chocolate in here somewhere!!" 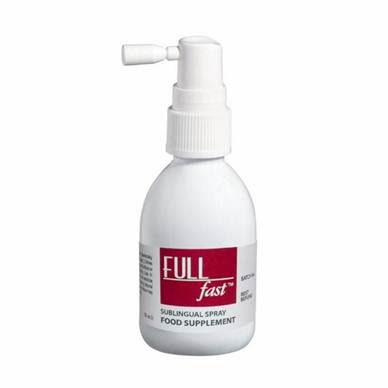 I was offered a chance to try FULLfast recently, it's an 'appetite control spray'. You spray it under your tongue 3 times, 5 times a day, usually 1/2 hour before meals. Naturally, I was sceptical but I started to work it into my daily routine and instantly saw results. It just works. Sometimes I use it in the evenings when I get those sweet cravings and I know I shouldn't eat past 10pm. The spray gets to work and within 10 minutes I've stopped thinking about food. 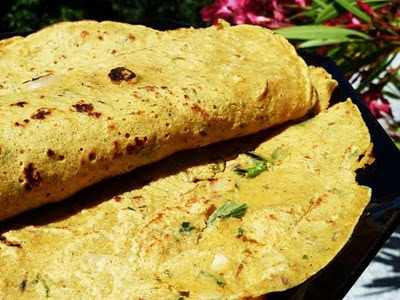 However you say it "choreet-so", "chor-eezo", "chorit-zo", "choreetho" etc, these sausages are aces and good for pretty much everything.You would struggle to make any savoury dish taste bad with some of these thrown in. I particularly recommend them for Jollof, stew, meatballs and toad in the hole. Regular readers of this blog may remember my previous posts about the NEC in Birmingham. Their canteens used to put the 'ming' in Birmingham but they've come on leaps and bounds recently. I go there twice a year for work, once to exhibit so I'm there for a week, 9 hours a day and once to visit so I'm normally looking for lunch and I'm armed with expenses. My first post about the NEC was my actual ranty email to the NEC after a bad experience with the products on offer and the service/lack of knowledge. My second post was the reply I got, which didn't really fill me with much hope. 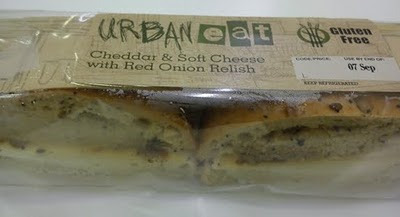 And my 3rd post was a post I made after finding with surprise and delight a whole gluten free section in the fridge in one of the hall canteens. After my recent visit, I'm pleased to report that the gluten free section is still there - with a new and improved range of sandwiches. ^ Click on any image to enlarge. I got sent these lovely cereals to try by Whole Earth Foods who make delicious organic foods. You may have seen their Peanut Butter ad on the tele. I was sceptical that any cereal could tear me away from my beloved crunchy nut but after a few bowls of the Maple Frosted Organic Flakes, the other cereal tasted too processed for my now more refined tastes. As well as being organic and made with all natural ingredients, this cereal is gluten free and free from evil e's. I feel a little bit healthier (and somewhat smug) after a bowl. Bude. Not the first place that would spring to mind when thinking of somewhere to go for a gluten free meal. Me and my husband spent last weekend there and ended up in a lovely pub called The Crooklets Inn. At the Crooklets (Facebook page, their website is down), I got stuck into the local cider and we settled in for the evening as it was tipping down outside. I asked to see the menu as I saw that the pub had a lovely conservatory/restaurant near to where we were sitting. I was utterly flabbergasted when I read that gluten free breads, pasta and pizza where available. We booked a table and double checked with the waiter about the gluten free options and we were informed that it would be no problem at all. 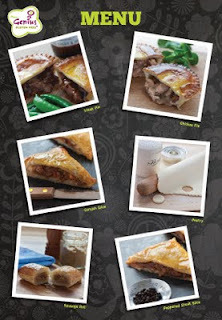 I recently tried a Steak & Ale Pie from Genius' new frozen range. I would have liked both pies from the box but my husband looked hungry and I suppose one must make dinner for two when one is married. It's always good to get my husband's feedback on gluten free products however as I've been gluten free for so long now and tend to think everything's awesome as long as it tastes vaguely of the flavour on the box. He gave the pie a thumb's up and like me, thought the filling was delicious and the pastry tasty and a good texture. I was impressed by the big chunks of steak, luscious gravy and general moreishness of the pie.